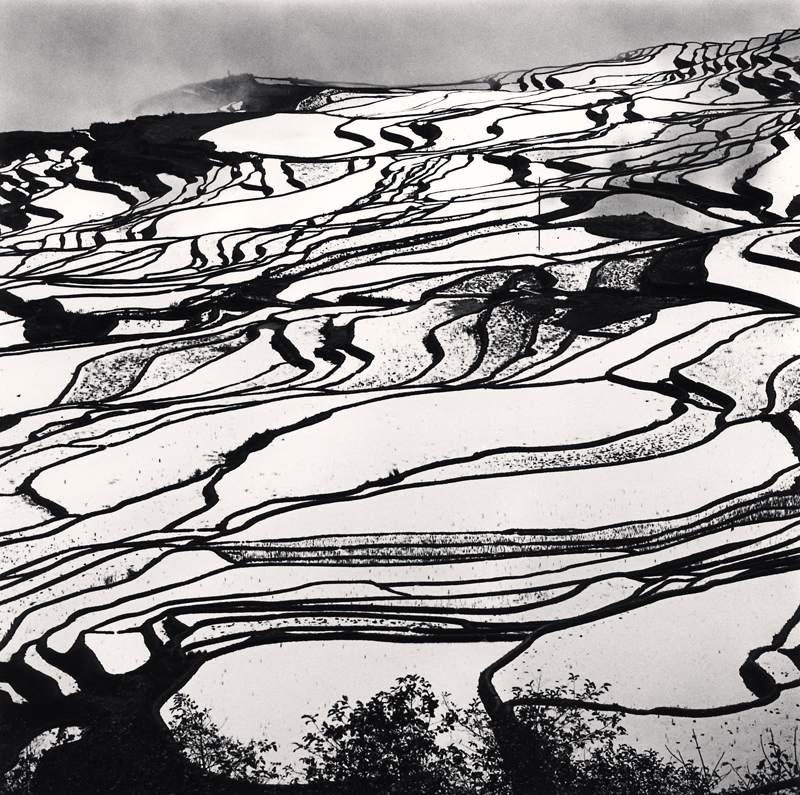 Photographers all over the world are drawn to the intense beauty found in Yuanyang County, China. 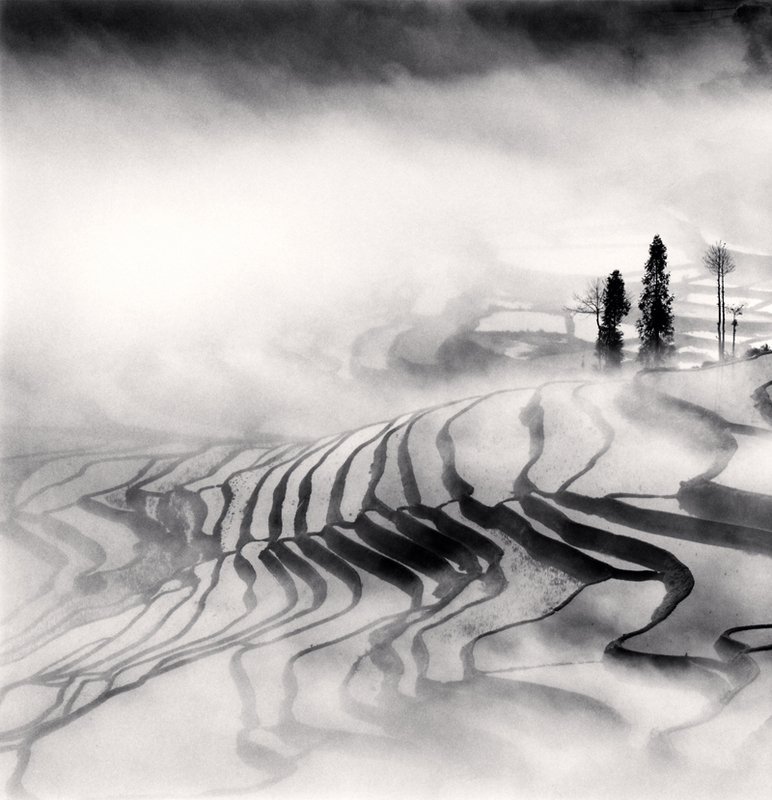 Michael Kenna’s exceptional images made while in this region show the terraced rice fields in the off-season, covered in fog. The images in CEG’s current show, were all made in February of this year. 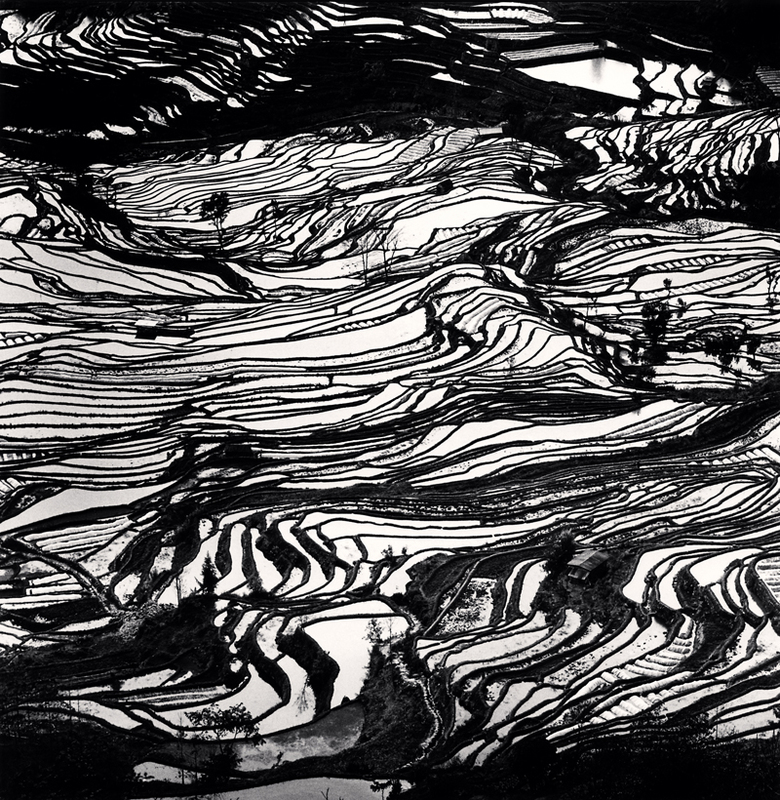 There are only a few months when the rice fields are filled with water and make such splendid reflections. At other times they are dry or filled with colorful red and yellow flowers.